RECKSTAR » a webcomic in space! Sorry to be the bearer of bad news, but Reckstar needs to go on indefinite hiatus for a little while. Both Michelle and I have been hammered with real-life obligations, and a few minor crises, that have hamstrung our productivity on the comic. Without going into too much detail, let’s just say current distractions include a big, unexpected move, a trip out of the country, assorted paid gigs, a financial crisis, and a dying computer. It’s that last one that’s going to be the most trouble, because without it, there can be no comic! So, while we’re getting all our ducks in a row, we’ll need to pause the comic (I know, right in the middle of an action scene — aren’t we the worst?). We didn’t have enough time to wrangle up a new stable of guest contributors this time, but we do have some cool development art to share, so we’ll spend the next few weeks posting those before going radio silent. The word “indefinite” gets used a lot as a roundabout way of saying “permanent,” but rest assured, we WILL be back as quickly as humanly possible. We just need to bring our personal lives back into some semblance of order before we can do that. Both Michelle and I are still 100% committed to Reckstar, and to you, our lovely, loyal readers. Besides, you really think we’d kill the story just when things are getting good? You haven’t even met the Breaker yet! 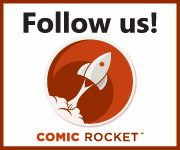 We Got Reviewed – The Comics Alternative likes Reckstar! A bit late to the party on this one, but HOLY CORPUSCLES, Sean and Derek of The Comics Alternative podcast reviewed Reckstar a few weeks ago! We’re sandwiched in between the reviews of two other fine specimens of webcomicking goodness — the lovely Delilah Dirk and the King’s Shilling (!!!) and the deeply insane (and awesome) Weapon Brown. Talk about being in good company! Chapter 3, Page 6, which was going to go up at midnight, January 12, will instead be posted next Tuesday, January 19. This week’s page will be a special installment which we’re working on now and shouldn’t go up any later than Wednesday night. It’s rare that I get to comment on such a big movie THIS CLOSE to its release, but some friends decided to kidnap me for a spontaneous movie date and so here I am, fresh from the new Star Wars movie and chock full of THOUGHTS! I’m going to keep it simple because, really, I don’t have time to be doing this… but it must be done. This is a wonderful movie that both resurrects the energy of the classic Star Wars films and, I don’t care what anyone says, captures what was GOOD about the prequel trilogy. Modern CGI technology is used for the forces of good here, homages to the larger Star Wars canon are (for the most part) a delight, and the intensity and visual flare that comes with modern cinematic storytelling are on full display. The cast is (for the most part) fantastic; the script is funny and exciting and (mostly) well constructed. It is not a perfect movie, but it perfectly captures what we love about Star Wars and gives me (sorry) a new hope for the continuation of the series. It must be seen, and it must be seen on the big screen. Here ends my spoiler-free review! Beyond this point lies SPOILER TOWN, USA! !